The EU General Court annulled the decision of the European Commission condemning Air liquid SA for the participation of its 100 % controlled Chemoxal SA in a cartel at the peroxide of hydrogen and perborate of sodium market, since the motivation of the Commission did not met the “detailed position” (“position circonstanciée”) on the proofs standard in case T-185/06. The main question was whether the two companies were the same economic entity. I would like to make a photo of this adjudication, since the application of this standard always appeared to me chaotic (or what I call “judicial shamanism” elsewhere). the latter owns 100 % of shares of the former, and the former uses commercial name “Air Liquid Chimie”. 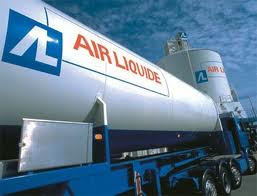 Air liquid had the power to appoint the members of the Chemoxal’s Administrative Council. The perception of third persons was that they are the same economic entity. No director of Chemoxal was a member of the Air liquid Management Committee or another internal body at the same time. According to the European Commission an administrator of Chemoxal after ending his office there became a manager of Air liquid, § 49. It follows from the minutes of the Chemoxal Administration Council that its President Director General had unlimited decision freedom. According to the European Commission this is quite normal from the formal point of view (§ 50). Chemoxal had its own independent departments: commercial, marketing, human resources, IT, accounting. According to the European Commission it is quite normal. In addition, Chemoxal used other departments of Air liquid, and the two companies had their seat in the same building (§ 51). Chemoxal autonomously managed its participation in Oxysynthèse Deutschland GmbH. Although one representative of Air liquid was a member of Oxysynthèse Administration Council, only one representative of Chemoxal sitted in the Management Committee of Oxysynthèse. This according to Air liquid proved that there was no common management of other companies. Chemoxal SA autonomously managed the participation in Chemoxal Chemie GmbH. Internal mails show that Chemoxal took the decisions on prices without interference of Air liquid. All great strategic commercial projected were launched by the very staff of Chemoxal. It follows from the circulaire of the Chemoxal Director General that Chemoxal independently prepared its budget. Chemoxal directly contacted with all its clients. Chemoxal was considered as an autonomous company by European Chemical Industry Council. The fact of using the commercial name of “Air Liquid Chimie” by Chemoxal does not prove economic unity, since Chemoxal simply wanted to take advantage from a well-known brand. No one among participants of the cartel meeting was an employee of Air liquid.